I'm a freak about my cupcakes. Seriously...ask any of my girlfriends. Each cupcake I make has to be uniform in size and frosted to my perfection or they don't make the party. I have several plastic cupcake carriers I use, which are nice, but sometimes I just need to deliver cupcakes and not worry about getting my carriers back. 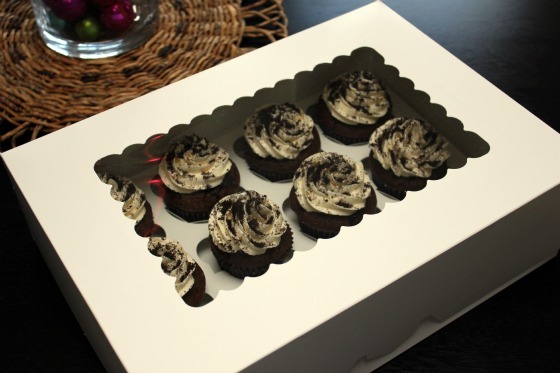 Cardboard cupcake boxes are perfect for those situations, but where do you get them??? Bake-A-Box! 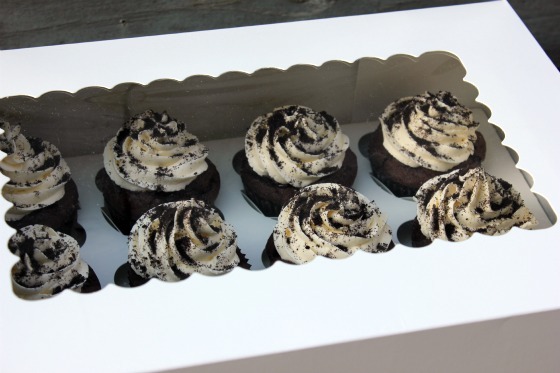 Bake-A-Box is a family owned small business specializing in cake, cupcake and pie boxes. They use only premium materials to make their boxes, ensuring a sturdy, beautiful and convenient product. I love that you don't have to order boxes in huge quantities. I don't have the room or money to spend on a lot of boxes. Bake-A-Box has a solution for you whether you have 10 customers or 10,000! Be sure to check them out. Their boxes are perfect for giving holiday goodies to your friends and neighbors!! You can follow them on Twitter or Facebook too! Note - Bake-A-Box sent me boxes for this review, but I was not compensated in any way. Your cupcake do always look perfect! :) Love the boxes to give them in. Great idea!